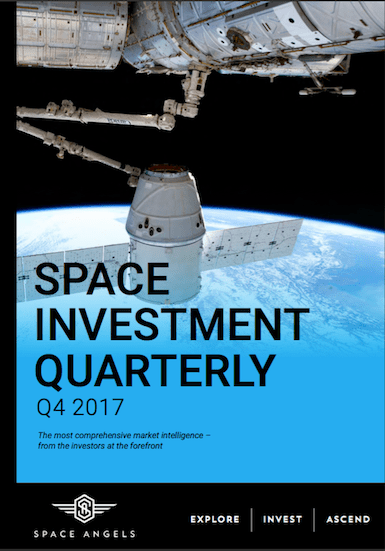 The Space Angels’ team is pleased to share our 2017 year-end quarterly space investment report. The team has gone to great lengths to not only build this data, but also present it in a way that will help you understand the key relationships between investments and market drivers that shape the frontier of this dynamic industry. Reflecting on 2017, the Entrepreneurial Space Age crossed yet another inflection point and shows no signs of slowing down. This was a record year for the Space industry on multiple fronts including amount of investment, number of venture capital investors, and number of new privately-funded companies. At a sector level, 2017 was the year of commercial launch, accounting for over 72% of total equity investment. In this year-end edition of Space Investment Quarterly, we’ve taken a deep-dive into the nuances of Launch, detailing the dynamics between Commercial and Government rockets.